This is so meaningful and welcome at this time. We are moving tomorrow with just three days notice. My husband and I started packing motzei Shabbos and are almost done. In truth, we have been trying to leave our city for years and feel that there are several other places that would be a much better fit b'ruchnius. But it is here that we are clearly destined to stay. I pray that our new home will be the wellspring of a new beginning that reveals the true path for our family and for our place in the community at large. Thanks for your amazing and inspiring website. I read it daily. Shoshana: Thank YOU so much for the chizuk!! May the Ribbono shel Olam help you with your move. As a noahide i have thought many times, and even discussed it with my R's over the net about moving to where one can find atleast some of the Light to all nations. And they have blessed me, that Hashem will guide me out at the appropriate time. i have always prayed that we move as immigrants and not as refugees. RGinsburg (inner.org) once explained to me, that its our tikun to be in a certain place for a period of time. And also perhaps the place where we live, even if idolatrous, needs our prayers. That too could be for a specific said time. Thats not to say i am a holy person, but rather that as a believing gentile i have attached myself to the holy nation. Hence in the holy nation's merits, our surroundings are also blessed. Wanted to mention that I appreciate your blog and read whenever I have the chance. I must say that I disagree with the part of this posting where the rav is quoted. Beemes Avraham Avinu had a taana to HKBH-" vees hanefesh" in chutz laaretz i succeed in kiruv and teaching the world about monotheism, but it didn't matter he still had an obligation. "maaseh avos siman labanim" whether you succeed in moving or not, whether you have obstacles or are even sucessful here, in any event a jews place is in eretz yisroel. we are like fish in an aquarium here- are natural habitat is the holy land. This is really beyond the point of the article, but I felt the need to address it.He was talking about a situation where one “Can Not” move. This could be for any number of reasons. A person should ideally be learning Torah every moment, getting up for Tikun Chatzos and davening Vasikin every morning. For one that trained himself to do that it’s easy to tell everyone else to do so, but most people can’t do so. People need to make a livelihood. Different people need different amounts of sleep so they can function. The same with moving to EY. It's very easy for one who lives in Eretz Yisroel to say "move here", but it isn't always so easy for people. There are many different variables; too many to get into now. 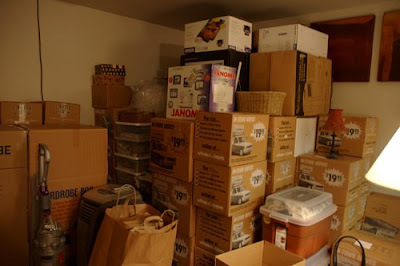 If one has teenagers, moving to EY can be quite difficult. If one spouse all of a sudden decides they want to move to EY, is it fair to insist the other one moves if they don't want to? People may have older parents to care for. Yes, in a perfect world we would all be in EY. One has to use the mishkal hachassidus (see last paragraph there), as with everything else. Hille said (Avos Chap. 2):"Don't judge one until you're in his place". Two people may seem to be in the same situation; one moves to EY and one doesn't. Behind the scenes, their respective situations may be quite different. The main point is that if a person puts his sincere efforts into moving to a place he thinks is more conducive to his spiritual growth, and isn't successful, than he is meant to be where he is at the present time and could “be all that he can be”, in that place.